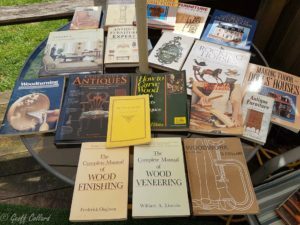 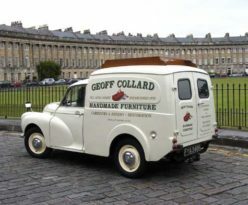 I’m not a great reader of fiction apart from the odd books you take on holiday, but I do love reading books on the Technique of the past about furniture and many of the crafts associated with the wood trade, I think it is a slowly dying art as many new techniques come along and take over from the old methods, and is it possible that screens will take over from books, I hope not. 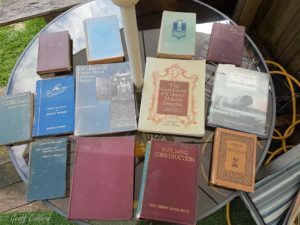 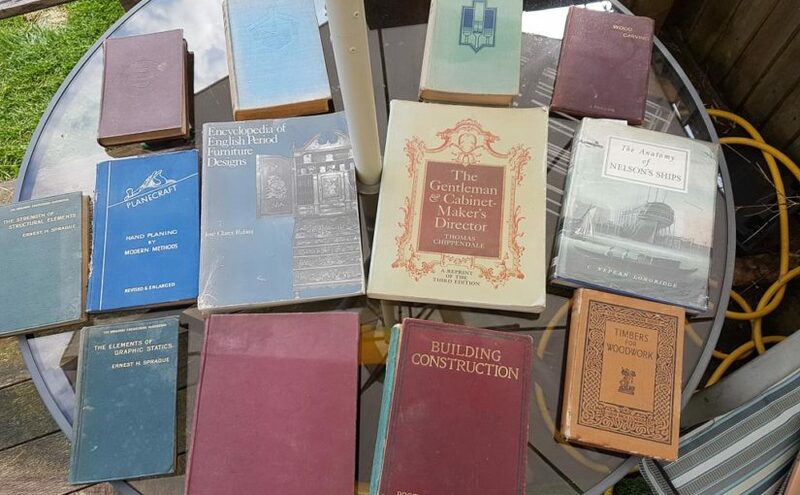 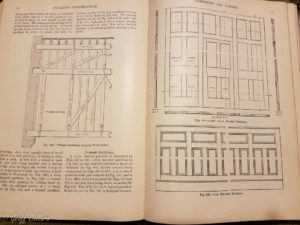 These are the oldest books I have which I find fascinating and my favorite Building Construction by Prof Henry Adams 1905, apart from the beautiful diagrams and drawings the book goes into every explicit detail on how things were done back then. 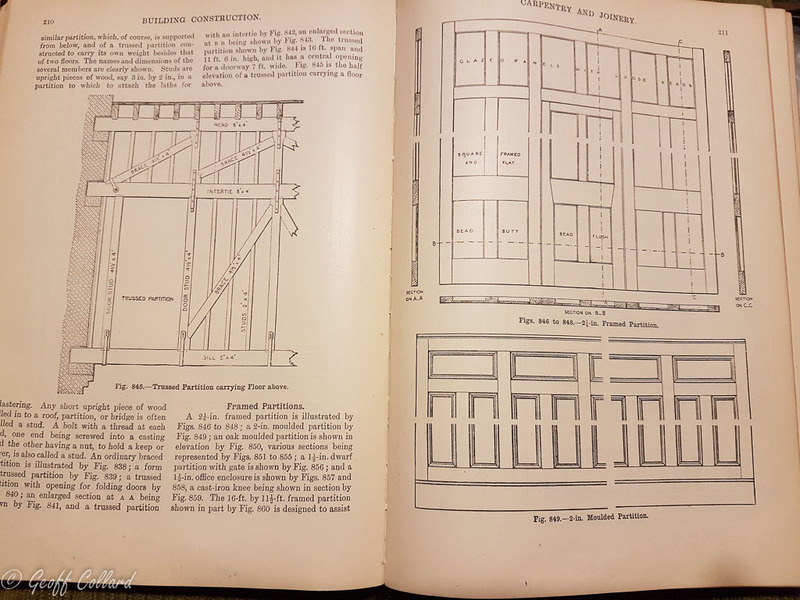 Look at the work that went into trussed partition in though’s days, a shame to cover it up with lath and plaster. These are the reasons I have so many different crafts on my website, one thing I have always acknowledged is how ever old you are how ever skilled you are you never stop learning, we’ve all met them, some one who thinks they know everything yet blind to acknowledge that someone else may just have a slightly better way of doing things, my Grandad on my mothers side was a draughtsman and when he retired at 65 went back to Reading college to try a new skill and got a job afterwards and worked for several more years. 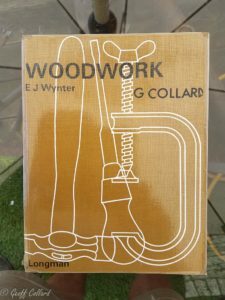 If you were at school in the early 70’s then you will remember this book unless you did needlework then you won’t. 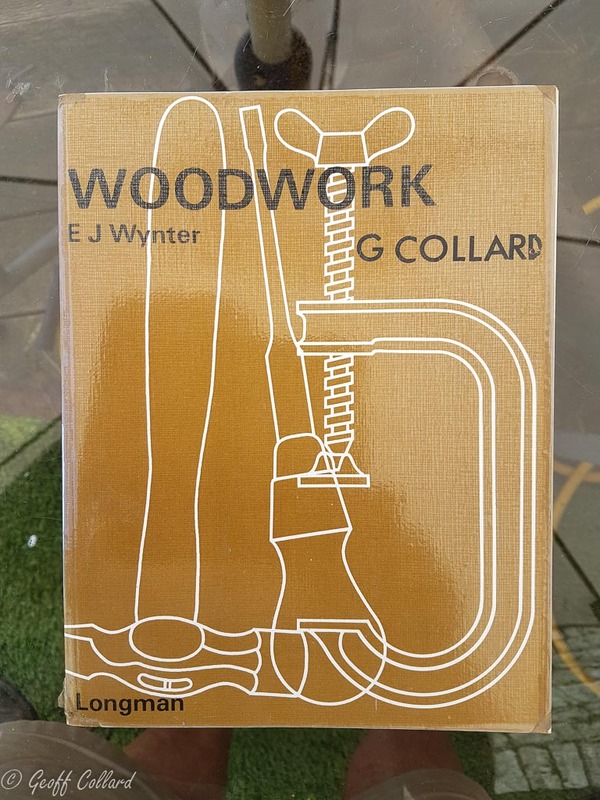 This book is 42 years old, but because of good old sticky back plastic it’s still in A1 condition, except for the 14 year old me plastering my name in letraset on the front cover (why did I do that!!). 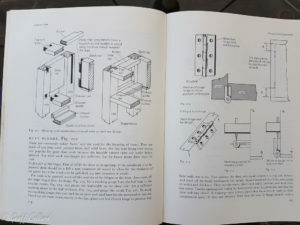 This is a great book with excellent illustrations, and had the potential to make very good woodworkers at the end of it. 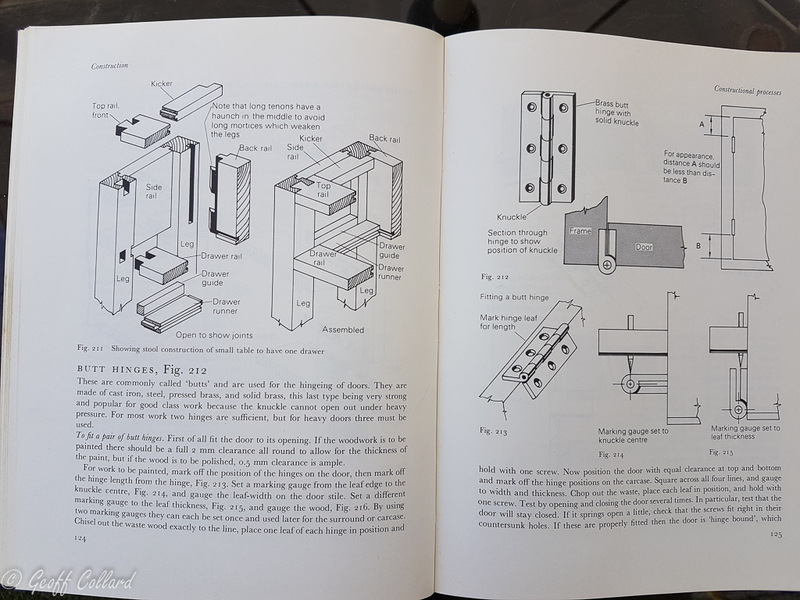 Back in the seventies we had woodwork lessons all afternoon twice a week… brilliant.